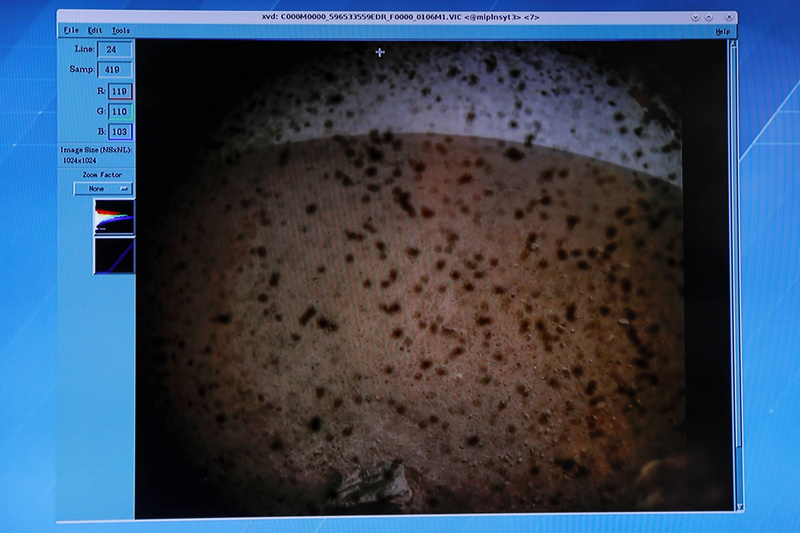 NASA’s InSight lander successfully arrived on Mars after a 300-million mile journey to the red planet, NASA’s live stream of the event indicated. InSight’s work has begun on Mars, according to NASA’s running update log on the mission’s status. InSight is not like NASA’s other robotic missions to Mars’ surface. The lander is a stationary, high-tech seismograph and drill designed to investigate the yet unseen interior of Mars, according to The Washington Post. With information collected from InSight, NASA hopes to determine the answers to many questions, including whether or not Mars is geologically active and if the planet has ever contained liquid water. The mission places the lander on the Elysium Planitia, a flat and nondescript plane on the red planet that NASA described as “the perfect location from which to study the deep Martian interior” in a post about the location from February. The mission was NASA’s first interplanetary launch from the West Coast and took off May 5 at 7:05 a.m. EST and touched down on Earth’s most habitable neighboring world Monday at about 3 p.m. EST.